Both quartz and granite countertops are a popular choice for kitchens. If you’re trying to decide between these two materials, one of the factors you’ll want to take into consideration is the cost. How much does quartz typically cost? How does that compare to the cost of granite? You’ll find the information you need to get started below. 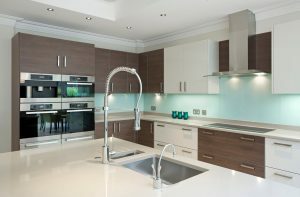 In most cases, the cost of quartz ranges from $80 to $140 per square foot. You’ll find that the price of quartz will vary wildly based on the quality of the material being used. 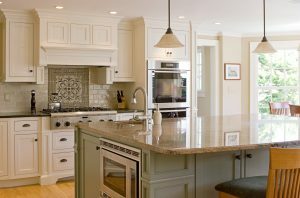 Low-quality quartz counters can cost as little as $50 per square foot, but higher quality counters will cost much more. The average cost of installing quartz counters in a kitchen is $2,500. If you buy cheaper quartz — or a more expensive product — this price could rise or fall. Our Quartz starts at $29/sq.ft. which is significantly cheaper than the average rate. The average cost of granite countertops is $80 to $175 per square foot. As with quartz, granite that meets higher quality standards is going to cost you more. One of the best ways to reduce the total cost of granite is to opt for a thinner slab. If you use a stone that’s 3/4 inches thick rather than the industry standard 1 and 1/4 inches, you’ll be able to bring your total costs down. In addition to looking at the costs of these materials, you’ll want to look at the level of maintenance that they require. Learn more about both types of materials so that you’ll be able to make an informed choice. Now that you have a clearer picture of the costs of both quartz and granite, you should be able to find an option that’s affordable to you. Be sure to do a little research to find the best material for your kitchen countertops.